Hon. Cavaye Yeguie Djibril once more elected House speaker and Hon. Hilarion Etong elected senior Vice Speaker. Effective work will soon start in the March 2017 session of the National Assembly following the election of the permanent bureau for the 2017 legislative year during a plenary sitting of the House on March 21, 2017. All the 23 outgoing members of the bureau were maintained in their positions with House Speaker, Hon. Cavaye Yeguie Djibril being re-elected in a uninominal vote with 147 votes and 20 void ballots. The Senior Vice Speaker, Hon. Hilarion Etong was re-elected with 141 votes and there were 17 void ballots. After the election of the House Speaker and the First Vice Speaker through uninominal votes having been nominated by Hon. 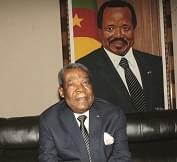 Ndongo Essomba, the ruling Cameroon People’s Democratic Movement (CPDM) Group leader, the remaining bureau members which were five Vice Presidents, four Questors and 12 secretaries were elected through consensus lists presented by the parties represented in the National Assembly. Hon. Cavaye Yeguie Djibril who mounted the rostrum after his re-election, took over from the presiding eldest Member of Parliament, Hon. Enow Tanjong and controlled the other parts of the elections. At the end of the election, Hon. Cavaye Yeguie Djibril thanked President Paul Biya, who is also the National President of the CPDM for bestowing trust in him by designating him the party’s candidate. 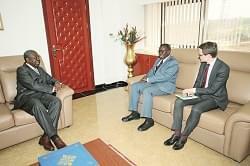 He promised to be loyal to President Biya and assured MPs that he will available to all of them. He also thanked the provisional bureau of the House, headed by the eldest Member, Hon. Enow Tanjong that piloted the affairs until the election of the permanent bureau. The March 21, 2017 elective plenary sitting of the National Assembly, goes into the annals of history as one in which the opposition Social Democratic Front (SDF) MPs blocked the election. They raised a motion calling for the eldest Member to create an Ad Hoc Committee to amend the Standing Orders of the House. 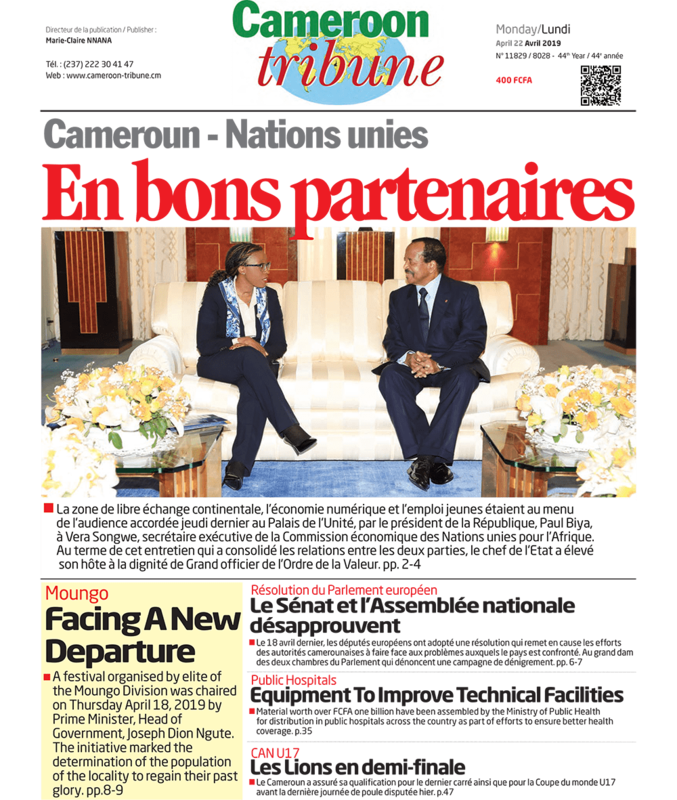 The stalemate persisted and negotiations of the House Speaker –elect and CPDM parliamentary group leader were futile. It was only after the plenary sitting was suspended and resumed with the presiding Hon. Enow Tanjong deciding to hear the motion that calm returned. He put the motion to vote and it was voted out. 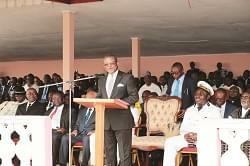 The CPDM parliamentary group leader also mounted the rostrum several times, congratulated the MPs for re-electing Hon. Cavaye Yeguie Djibril and thanked all MPs for their contribution.